It’s New Year’s Eve, and baby it’s cold outside here on the East Coast of the United States! It seems like the perfect day to recommend 4 wise books that will be sure to warm you from the inside out and inspire your New Year. Here are a few points of interest about the books selected for you. Three of the books have been selected as World Wise Beauty ‘Book Wise’ Picks in 2017 and you can find links to the Q&A with Authors below. All of the books focus on wellness lifestyle and culture and inspire us to cultivate a healthy positive mindset while providing us with real tips on adopting their approach to happiness, personal fulfillment and well-being. 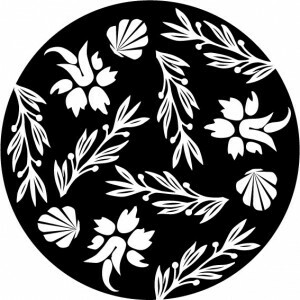 One of the books is about a Japanese approach to longevity and happiness. 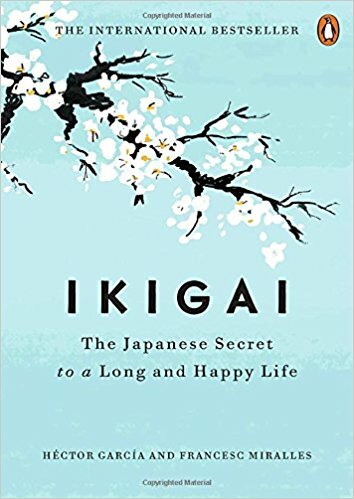 The authors are not natives of Japan but one of them has lived there for over 10 years and has really embraced the ‘Ikigai’ mindset. We can too! The title of the book Ikigai is a Japanese word whose meaning translates roughly to a reason for being, encompassing joy, a sense of purpose and meaning and a feeling of well-being. Recently the book was selected as WWB’s Fall Book Wise pick. You can find the Q&A with author of the book here and learn more how he has embraced the ‘Ikigai’ mindset living in Japan. 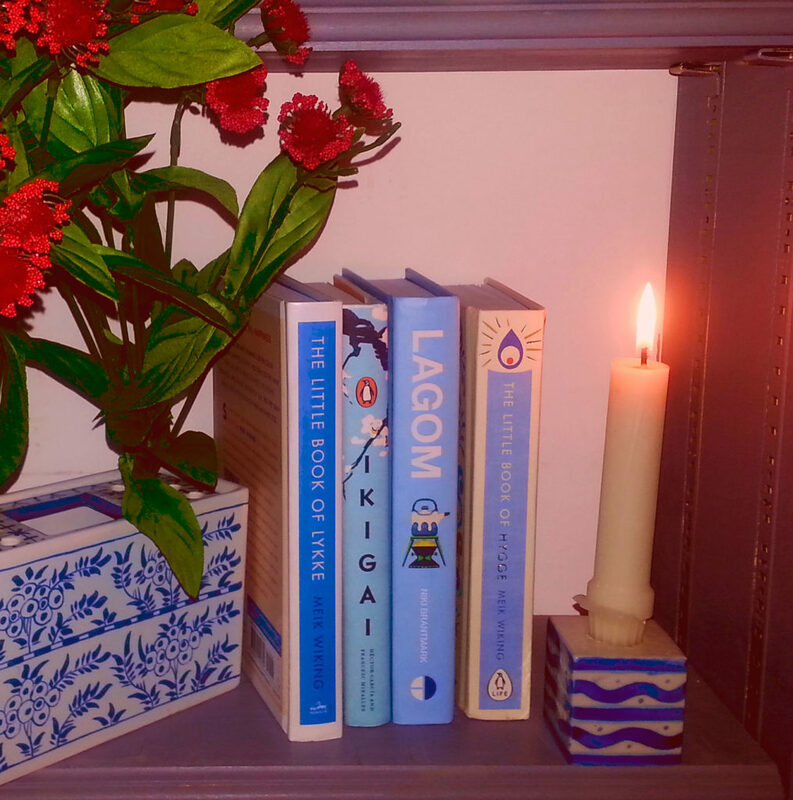 The title of this book Lagom, is a Swedish word meaning “just the right amount”. 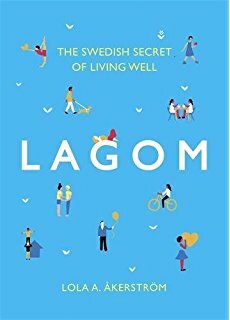 The Lexin Swedish-English dictionary defines lagom as “enough, sufficient, adequate, just right”. Lagom is also widely translated as “in moderation”, “in balance”, “perfect-simple”, and “suitable” (in matter of amounts). I think this mindset maybe the most challenging for Americans as we tend to strive for ‘more’ and this is strongly embedded in our psyche! With the environmental crisis we are facing world wide, hopefully we will embrace a Lagom state of mind sooner than later. What if enough was enough? Good questions to ponder in the New Year. Of note there are several books with LAgom in the title, but this particular book I found to be the most insightful and grounded. The author is not Swedish but she’s a travel writer and photographer, and enjoys exploring various cultures through food, tradition, and lifestyle. Of note, she’s an award-winning writer, speaker, and photographer represented by National Geographic Creative. You can find her award winning photographs throughout the book! My Q&A featuring her book is here to learn more about her worldly perspective and love of Swedish lifestyle. WWB Fav Section: Nature and Sustainability! We Americans could use MORE of this wisdom! Don’t you think? What I love about the Swedish approach to home and living is the art of bringing nature indoors but also their appreciation for nature all around them. The Swedish interdependent mindset’ is one we can all aspire to. 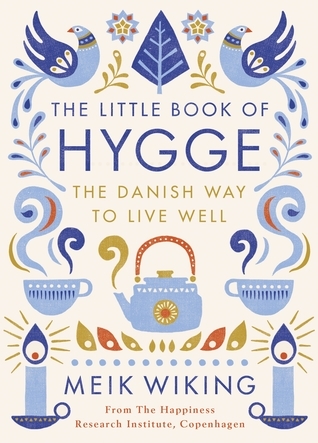 The title of this book is based on a Danish word ‘Hygge’ meaning a quality of coziness and comfortable conviviality that engenders a feeling of contentment or well-being (regarded as a defining characteristic of Danish culture). I like how the author simply says it’s ‘cocoa by candlelight.’ Love it! Don’t you want more “Hygge’ in your life? That hot cocoa metaphor is easy to conjure and can be experienced in your real life easily. Especially this week in New Jersey! You can find my feature on the book here and also learn more about the author’s research at the Happiness Research Institute. WWB Fav Section: What’s Love Got to Do With it? Oxytocin! That’s what. Also called the ‘cuddle hormone’ oxytocin is a natural neurohormone produced by our bodies when we experience a feeling of love, warmth and security. It requires a hug, cuddling or just general physical closeness. The amazing thing is you can release Oxytocin just by petting and cuddling with your pet! However we achieve some cuddling, we all need more of it flowing through our bodies for our health and wellness! Hot off the press! Last but not least, this book was just released here in the United States this week. Lykke is a Danish word for happiness and what better way to explore the concept of happiness than with the CEO of the Happiness Research Institute in Copenhagen (the capital of Happiness!) Here’s the thing, the really really good thing, Meik Wiking believes we all have the ability to achieve happiness. His research allows him to talk to people from all over the world and he believes WE HUMANS have a lot in common no matter where we are from. He has found the common denominator of happiness and whether we are in New Jersey, Copenhagen or India, we get happy about very similar things. Reading this book you will arm chair travel with the CEO of Happiness around the world and discover what truly makes us happy! There are so many good tips sprinkled throughout this book, like simply start doing little random acts of kindness. I just did this today. My neighbor is away, and I brushed all the snow off her car and pulled her wipers up! I worried by the the time she got home, with the deep freeze we are facing this week, she might not be able to get into her car. I was doing my car, so why not do hers? Random Acts of Kindness starts right in your own neighborhood! Shhh don’t tell her. It was random! WWB Fav Section: Decouple Well-Being and Wealth. Need I say more? Okay I will. Money does not buy happiness. Especially in Denmark! What seems to work well in Denmark, is enjoying a good quality of life does not have to cost a lot of money. In fact the Danes are not alone, there are other cultures he highlights in the book who know how to be happy without being wealthy. Here is another cultural mindset example. In America we are told we will be happier if we make more money and buy more new things. But what the author’s world wide research finds is happiness is linked with experiences not things. 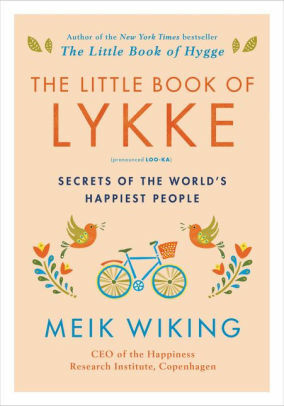 You will find so much wisdom in this ‘Little Book of Lykke’. A very world wise and worthwhile read sure to inspire your resolution to truly be happy in 2018!